Did You Borrow Too Much in Student Loans? The euphoria of graduating with a college degree can quickly dissipate once student loan payments become due. This means you should aim to borrow no more than 50% of what you expect to make in your first year of employment. For instance, if a registered nurse with a bachelor’s degree (BSN) starts at around $60,000, the ideal amount of student loans they should have taken is no more than $30,000. This way, after you’ve put away the cap and gown and hung up that oh-so-expensive diploma on the wall, it will be a bit easier to pay off your debt. There are many ways to go about learning how much an entry-level position in your field pays. One suggestion is to talk with those already working in the field. Another would be to speak with an academic advisor. Also check out “What’s it Worth? The Economic Value of College Majors,” a comprehensive report produced by Georgetown University’s Center on Education and the Workforce that used U.S. Census data to calculate the worth of 171 majors across 15 categories. “The bottom line is that getting a degree matters, but what you take matters more,” Anthony P. Carnevale, the center’s director, said when the report was released in 2011. The National Association of Student Financial Aid Administrators recommends students borrow only as much as they need. “After you’ve estimated your total cost of college, your gift aid, and the difference between the two, work with your financial aid administrator to borrow only enough to cover necessary funding gaps,” NASFAA advises. It is always better to be up front and honest with your loan servicer, whether federal or private, if you think you may have trouble repaying your loans. 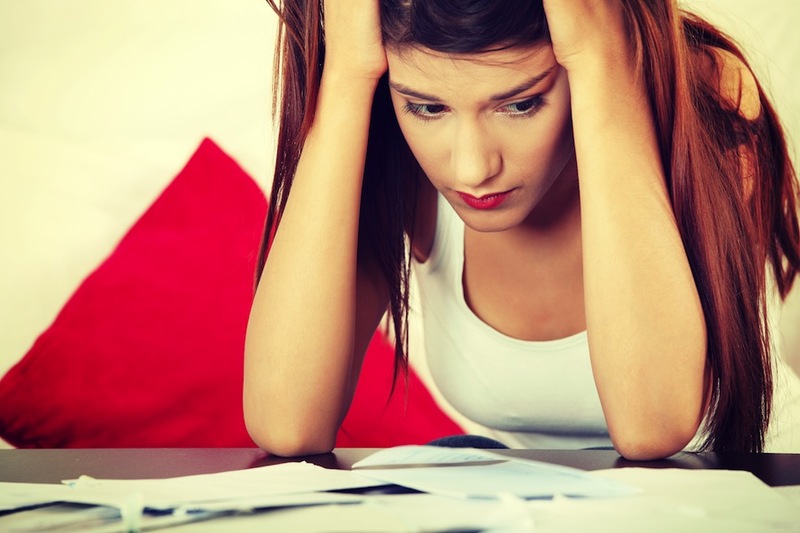 Missing payments before exploring your options can result in default, which can negatively affect your credit score. Graduate worried about debt image via Shutterstock.